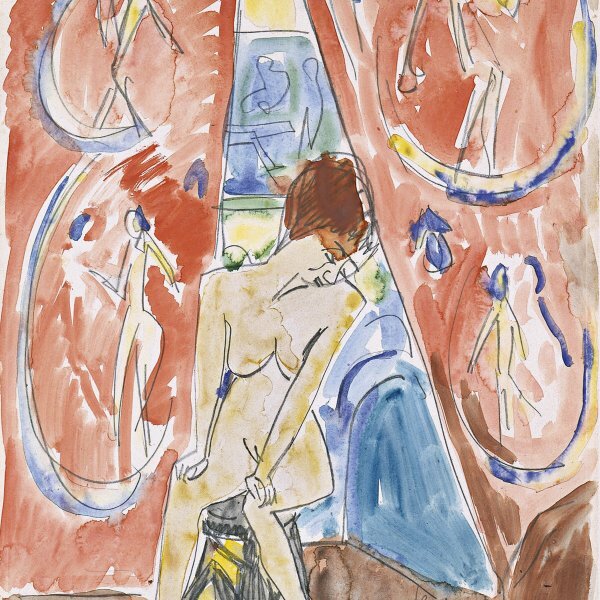 The earliest German Expressionist group, called Die Brücke [The Bridge] was founded by a number of young artists whose principal aim was that of creating a bridge between life and art. Their permanent quest for a primeval harmony resulted in their summer trips in which they left Dresden for distant locations. Erich Heckel and his fellow group member Karl Schmidt-Rottluff focused on the small coastal town of Dangast on the North Sea. Located in that region, the brick factories had tall chimneys and were a bright red colour that contrasted strongly with the surrounding green landscape. They were depicted for the first time by Heckel in this canvas in the Museo Thyssen-Bornemisza and would soon become one of his preferred subjects. 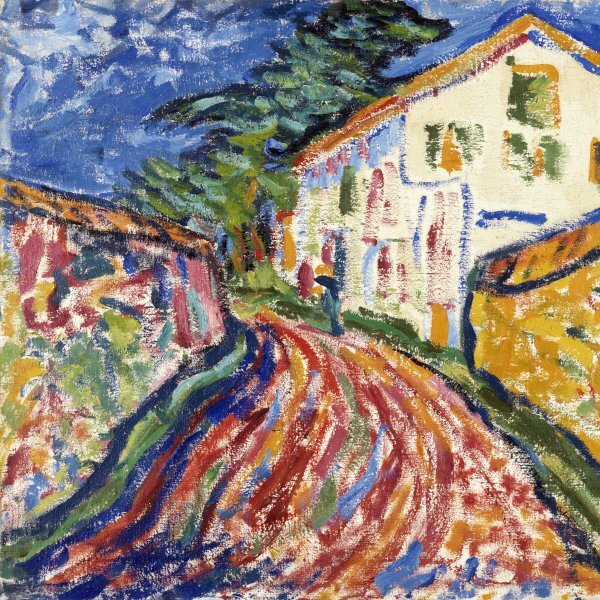 The loose handling, with its spontaneous brushstrokes heavily charged with unrealistic colours, recalls Van Gogh, whose work Heckel encountered in an exhibition held in Dresden in 1905, but differs in the less ordered and systematic application of the strokes. In this first version, Heckel dispenses completely with contours and builds up form chiefly through colour. The structure of the painting is dominated by the powerful transverse line of the factory buildings, which is disturbed only by the verticality of the towering red chimney. 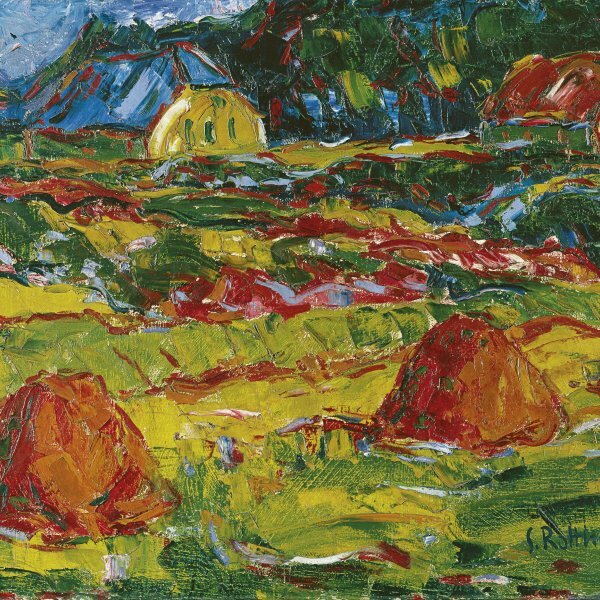 The vivid, unnatural colours, thick impasto and small brushstrokes applied with great spontaneity and a certain amount of movement accentuate the expressiveness of the composition. 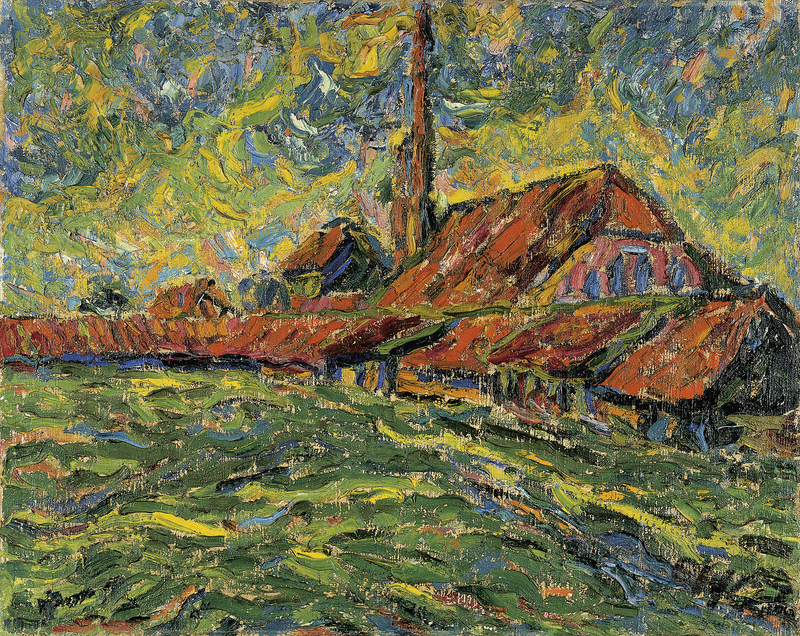 The mark left on him by the Van Goghs he saw at Dresden is evident, although Heckel reinterprets the Dutch artist’s orderly brushstrokes applied with systematic determination and employs a much more disorderly and erratic technique. Indeed, the young Die Brücke Expressionists regarded Van Gogh as a painter of French spirit concerned with achieving a certain effect of order and balance on the picture surface and therefore rejected the structural aspects of his work, adopting only the expressive elements of his language.